A rainy Sunday, some free time during the holidays, a summer storm… there are so many opportunities to go and explore the museums of the French capital, either to satisfy a love of art or a thirst for culture. However, as our finances don’t always match up to our expectations, you might find it helpful to read our top tips on Paris museums: many museums offer completely free admission to all visitors, all year round. Discover our selection of museums to visit without spending a single penny! Let’s start with the classics: the Musée des Beaux-Arts de la Ville de Paris in the Petit Palais on the Champs-Élysées, offers an essential insight into Parisian artistic life. Built in 1900 for France’s Exposition Universelle, the building is now filled with 1300 works of art dating from the Middle Ages to the present day: paintings, sculptures and tapestries are all featured in the permanent collection which is free to visit, along with the garden and café. However, there is an admission charge for temporary exhibitions. The best thing to do is feast your eyes on the work of Monet, Renoir, Toulouse-Lautrec and Delacroix, before reaching the Arc de Triomphe in just a few steps. Opening times: 10am to 6pm daily, except Mondays. Now you’ve mastered the classics, are you ready for something a little more daring? Head for the 16th arrondissement, where you’ll find the Musée d’Art Moderne de la Ville de Paris (also known as MaM). 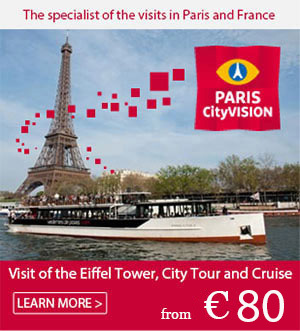 Established in 1961 near the Eiffel tower, it houses around 8000 works of art from many different countries. From paintings to photographs and video installations, from cubism to Nouveau Réalisme, from Picasso to Giacometti by way of Yves Klein, here you’ll find the major trends in 20th century art. Here again, only the permanent collection is free of charge, and there is a charge for admission to the temporary exhibitions. Opening times: 10am to 6pm daily, except Mondays and public holidays. At the Musée Bourdelle, naturally located on rue Antoine Bourdelle in the 15th arrondissement, you can explore the work of this sculptor free of charge, in the permanent collection displayed in the garden and studios. This major artist of the 20th century, who worked with Auguste Rodin and Giacometti, was responsible for the decor of the Théâtre des Champs-Élysées. In the film The Exchange Student, Louis Funès’ son claims to have taken a young English girl to the Musée Carnavalet. He must have read our top tips, as this museum is home to a collection which is open to the public, free of charge. 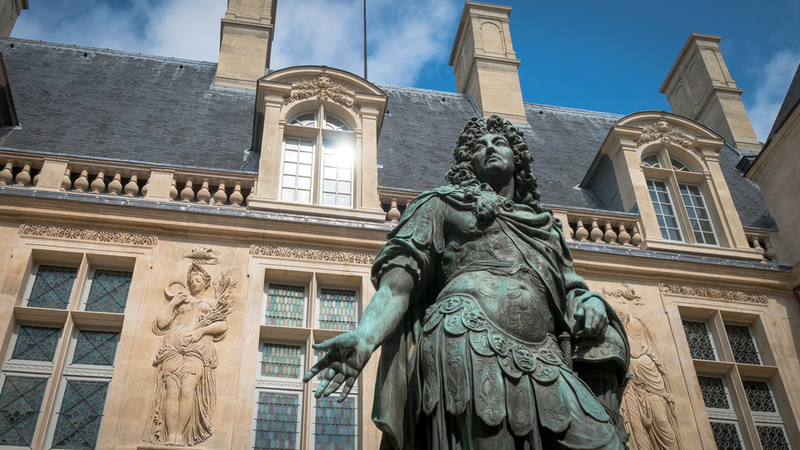 Situated right at the heart of the Marais district, here you’ll find numerous historical items dating from the Gallo-Roman era to the 19th century. Objets d’art, furniture and paintings are housed across two 16th-century mansions. Opening times: 10am to 6pm (some galleries may be closed), except Mondays and public holidays. Science lovers should opt for the Institut du Radium, managed by the Curie Foundation. Here you’ll find many scientific instruments that were used up until the 1930s, as well as documents recounting the discoveries made by Pierre and Marie Curie on this site steeped in history. Here you can learn all about how they developed artificial radioactivity. Don’t worry: Marie Curie’s laboratory is no longer dangerous, it was decontaminated in 1981. Opening times: Wednesday to Saturday. Guided tours are available on the last Saturday of the month. Tucked away down a little side street in Pigalle, the Musée de la vie romantique is located in the house owned by the painter Ary Scheffer. Paintings, jewelry and sculptures are all on display for visitors to enjoy; the venue also hosts concerts and temporary exhibitions. Opening times: 9.30am to 5.30pm, Monday to Friday. The Musée de l’Air et de l’Espace at Paris–Le Bourget airport is an absolute must for all aviation enthusiasts. Rocket and aircraft models, a visit aboard a Boeing 747, a planetarium to introduce parents and children to astronomy: everything is free of charge, except for flight simulators. Guided tours, which take place on the first weekend of the month, cost five euros. Opening times: Daily except Mondays, 10am to 6pm (spring-summer) or 10am to 5pm (autumn-winter). The Musée du parfum Fragonard, next to the Opéra Garnier, invites visitors to discover the secrets of perfume-making, from ancient times to the present day. Guided tours are free of charge for all visitors and run every thirty minutes. Opening times: 9am to 6pm daily, except Sundays. If you dream about walking in the footsteps of the author of Père Goriot, the Maison de Balzac is open to the public with free admission (excluding temporary exhibitions). The house is situated near Passy and the collection includes engravings, handwritten documents, original editions of the author’s novels and much more. The Lost Illusions aren’t completely lost, it seems. In Place des Vosges, the Maison de Victor Hugo is open to visitors who wish to see the desk and drawings of the author of The Hunchback of Notre-Dame and Les Misérables. The house also provides workshops for young people for which there is a charge. Why not explore our selection of quirky museums in Paris?